Lockheed JetStar | Just Shooting Memories! I have had many requests to purchase prints lately, so I finally decided to give that option. At the bottom of each photo that will be available, there will be a link to purchase a print. I have been hosting the photos for the site through SmugMug since November and I have added many of the photos from the site prior to November to SmugMug. However, not all photos are there, but if there is one you find and it is not on SmugMug, let me know. Beginning in the early 1960’s, Lockheed began producing the JetStar. Production continued until the end of the 1970’s with over 200 of these aircraft being built. These aircraft have carried many famous people from past United States Presidents to other famous people including Elvis Presley. 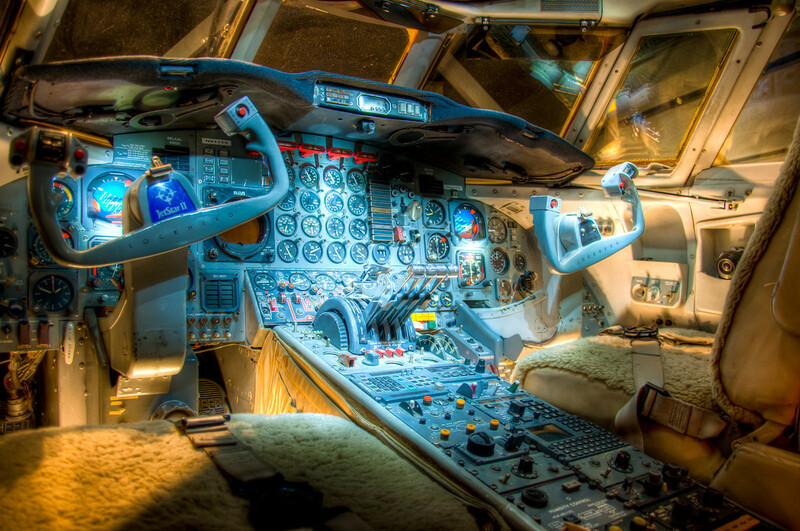 This cockpit from a JetStar built in 1967 sits in the Tellus Museum in Northwest Georgia.